Welcome to Pumpkins & Roses Handwork Page! My Yarn Shop is open for business! Come visit me. 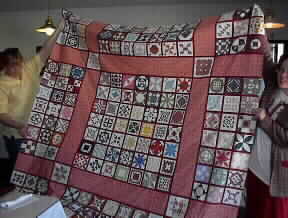 Welcome to my quilting pages. I have been sewing and crafting for over thirty years and I have always been interested in learning news skills and techniques. Over the last three years I've gone in a new direction and opened a brick-and-mortar yarn shop in Little Falls NY. It is called The Pincushion Patch. Interesting story about that name. It's doing quite well and I am finally ready to open for e-business. My Baby Jane Blocks Rows A-M Now up! This is my photo album of all my Dear Jane blocks. I have finished all 169 blocks and four corner blocks and assembled them in my own setting. 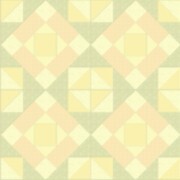 Baby Jane Strippy QuiltBrand New Project!